Virgin Australia has announced that it will be launching direct flights between Perth and Abu Dhabi starting from June 9, 2017. The new service will operate on Virgin Australia’s A330-200 aircraft in partnership with Etihad Airways, providing travellers a direct connection to Etihad’s network. This network includes 23 destinations in Europe, 15 destinations in the Middle East destinations, and 10 destinations in Africa. The announcement is welcome news for international travellers. The close proximity of the regional, domestic, and international terminals means that passengers travelling from Virgin Australia will be able to transfer seamlessly in one convenient location. The new flights will be served three times a week, departing from Perth every Tuesday, Friday, and Sunday at 11:05pm and arriving in Abu Dhabi at 6:35am. 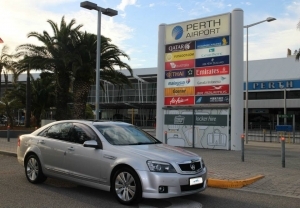 Return services depart from Abu Dhabi every Monday, Wednesday, and Saturday at 8:20am and arriving into Perth at 11:25pm.